What do LEGO blocks, Minecraft and 3-D printers have to do with STEM education? The answer actually lies in a computer program developed by Victor Winter, Ph.D., a professor of computer science at the University of Nebraska at Omaha. 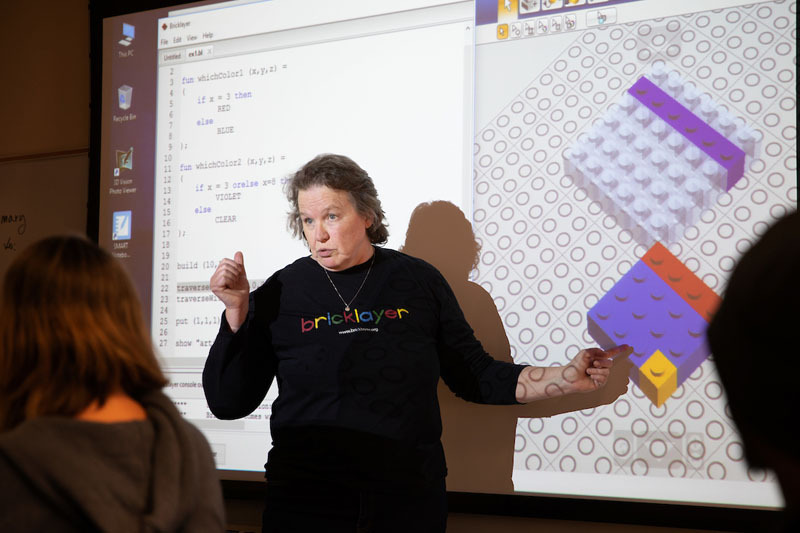 The program, called Bricklayer, exchanges graph paper for a blank, virtual canvas where art can be used to teach STEM concepts. "In traditional math or traditional computer science you have your classic problems and yes you can come up with other ones but they are somehow forced and don't feel right; art is not like that." 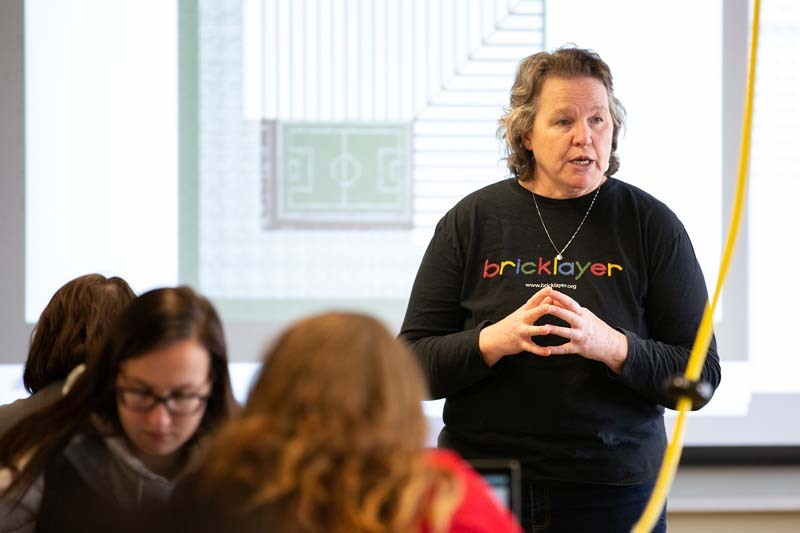 Today, with the help of colleagues across campus, K-12 educators across Omaha and funding from the National Science Foundation, Winter and UNO are poised to revolutionize STEM education - one brick at a time. For nearly two decades, Winter has taught computer programming courses at UNO. Early on, he began to notice an upsetting trend: students could memorize pieces of code but struggled to understand how those pieces worked together. "What kids do, which is sort of my speculation, is think 'I don't want to refine programs or restructure them because I'm probably going to break it,'" he says. "From a writing analogy that's like putting your first draft into print, which would be nonsense." To address this problem, Winter began to build a computer program, from the ground up, to offer a new way to teach computer science. To do this, he turned to a decades-old toy that can be found in millions of households across the world: LEGO. Winter's goal was to make the program simple to learn but open-ended enough for the lessons and projects to be endlessly complex. The concept is part of his "low threshold, infinite ceiling" philosophy. Much in the same way that LEGO blocks can be used to build simple geometric shapes or a life-size model of dinosaur, Bricklayer's basic structure involves small, virtual bricks that can be visually placed and replaced, like points on a graph or in a 3-D space, or programmed into place through lines of code. 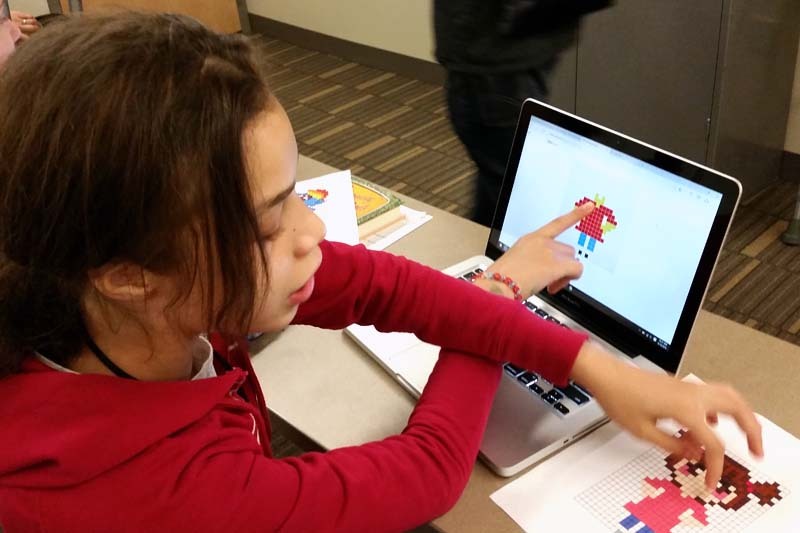 By seeing both sides of the process, Winter says, students become much more creative and willing to experiment to solve coding problems. "Art is such an incredibly rich domain. The potential for ideas and being inspired by what you see is enormous." In the summer of 2015, approximately a year after Winter's first foray into Bricklayer, he presented the concept at a local event called "Coffee and Code." Also at the event was Betty Love, Ph.D., an associate professor from UNO's Department of Mathematics. She was also struggling with the question of how to get students to become more engaged. Her passion developed while homeschooling her two daughters, both of whom understood math concepts but had difficulty memorizing specific facts or became disinterested in the same types of problems. "I thought, as a teacher, which student would I rather have? One with a solid conceptual understanding or one who is good at memorization and following a list of steps to solve a problem, but with only superficial understanding of concepts?" After Winter's presentation on Bricklayer, it was clear to Love that a solution to her problem was right there in front of her. "I was scheduled to teach a graduate topics course in our Master of Arts for Teachers of Mathematics program that started about two weeks after I saw Victor’s talk," she says. "I was so impressed with Bricklayer that I totally scrapped what I had planned to do that summer and instead taught Bricklayer." One year later, Love, Winter and his wife, Jennifer, officially launched Bricklayer as a non-profit organization, called Bricklayer.org, to begin offering the Bricklayer program to the rest of the world. It wasn't long after that the program began to catch the attention of local K-12 educators who wanted to use the program in their classrooms as well. Love recently spoke about these efforts on KVNO News' "Friday Faculty Focus:"
For Charlie Cuddy, a math teacher at Bryan High School, Bricklayer's potential was something he immediately noticed and wanted to leverage in his own classes. After meeting with Winter, Cuddy set to work training himself on the software. After a full summer and 300 hours of work, he was able to convince his principal to offer Bricklayer as a special topics course for seniors, which he did for the first time in 2017 - and the results were both dramatic and immediate. "Just moving from concepts of 'oh a variable is not just X equals two' and actually grasping this idea of putting entire functions into other functions to make life easier, those kind of sparks and connections made me think this would be amazing if we could somehow teach it at the freshman level or even sooner." Cuddy is teaching the course again this year and is one of close to 80 in the state that are leveraging Bricklayer in some way. 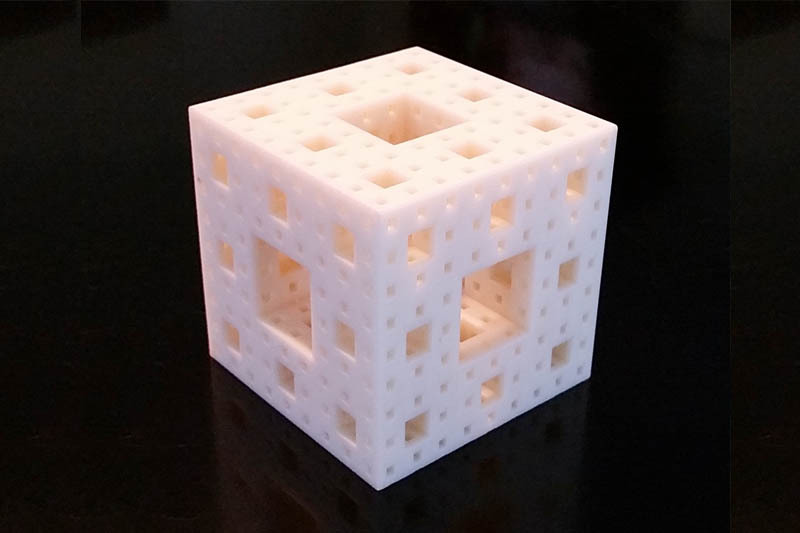 One of the things that has helped made the course engaging for his students is the program's ability to have its code easily transferable to popular games like Minecraft and technology like 3D printers. "Dr. Winter brought his HTC Vive in and the kids were able to actually explore their programs that they built in virtual reality, which totally got them involved and bought in," he explains. 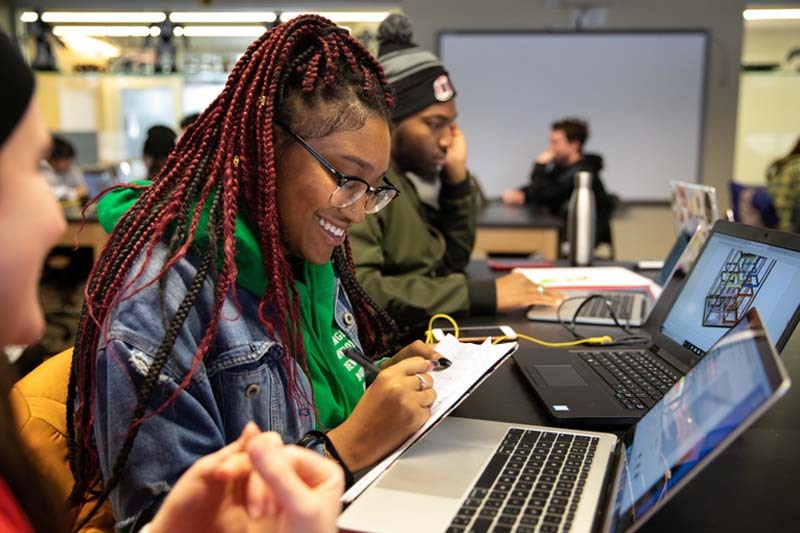 The program is also making an impact on young art students, who may otherwise not see any connection between math and design, including a group in Cuddy's class who constructed an entire fantasy landscape that they were able to explore virtually. For Cuddy, who has also provided Bricklayer lessons to middle school students through the UNO/Girls Inc. Eureka! STEM Program, the benefits are perhaps most evident in the inspiration it has provided students to continue learning STEM skills and pursue higher education. "When I asked 30 students at the beginning of the year who was planning on going to college, only six planned to do so with most unsure about a major. However, just this past week, over half said they would seriously consider going to some level of college and 12 of them are planning to study computer science ... It has been a privilege to learn alongside Bricklayer." Bricklayer's ability to be a low-threshold, infinite-ceiling program isn't just limited to its internal workings. It is also something that describes the level of impact it can have on education. Ultimately, Winter says, Bricklayer can make a significant impact on overall college retention and graduation rates by providing a unique alternative that helps students satisfy their math requirements. "It's a huge national issue - and a fascinating one," he explains. "Both locally, and nationally, [math competency] is the number one cause of people failing out of higher education and it's the number one cause of people not even pursuing higher education." Last year, Winter, Love, and two other UNO faculty members, Michelle Friend, assistant professor of education, and Michael Matthews, associate professor of mathematics, received a nearly $300,000 grant from the National Science Foundation to develop a course that teaches foundational math concepts through Bricklayer. 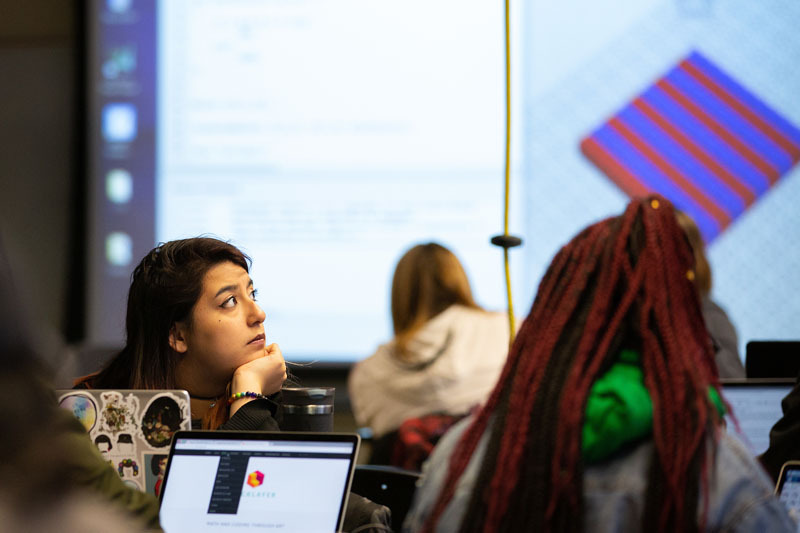 The team hopes to determine if Bricklayer, at the college level, can increase students' confidence in math and STEM skill sets and increase overall retention. "This is the first time that an alternative course [to satisfy the UNO math general education requirement] has been available for many, many years, if ever," Love says. "We believe, as does NSF, that our course has the potential to be a model that is adopted by other institutions. We are on the front end of a nationwide movement to provide alternatives to the traditional algebra-to-calculus pathway." One student who is an example of this success is Cheyenne Moore, a social work major who took the course, "Introduction to Mathematical and Computational Thinking," last spring. She enjoyed the course so much that she decided to be a mentor to students taking the course this fall. "At the start I didn't really go in with any expectations," she says. "I definitely wasn't expecting to like it as much as I did. There aren't a lot of formulas that you need to remember and you're actually building something - you're not just solving for 'x' or 'y' in a problem; you can actually see what you're creating." The NSF grant funding will conclude next August; however, Winter is already looking at expanding Bricklayer's reach to public schools outside the metro area. He says that while there is a lot more work to do, Bricklayer has the potential to break the mold and reshape the way we approach STEM education. "If you can show students do better in standardized tests, right now that's the bar that you have to get over. Ultimately, down the road, what that bar is should be called into question. We've been teaching these concepts the same way for centuries and that needs to change."